When most people hear the term 'nanotechnology,' they probably think 'microscopic robots' because that is what has been popularized in the movies and television. We're not there yet. Not even close. But there are exciting developments in this new frontier that have the potential to greatly increase human comfort and improve needed products. Nanotechnology is the manipulation of very small things for practical uses. More specifically, nanotechnology is the science and technology of precisely controlling the structure of matter at the molecular level. Nanotech is widely viewed as the most significant technological frontier currently being explored. Nanoparticles are being used in a number of industries. Nanoscale materials are used in electronic, magnetic and optoelectronic, biomedical, pharmaceutical, cosmetic, energy, catalytic and materials applications. A nanometer-sized particle is smaller than a living cell and can only be seen with the most powerful microscopes. A nanometer, one billionth of a meter, is about 10,000 times narrower than a human hair. The width of human hair is approximately 80,000 nanometers. A novel data storage system capable of 1015 bytes/cm2 is being explored.In this system, H atoms would be designated as 0 and F atoms as 1.A tip that can distinguish between 0 and 1 rapidly and unambiguously is being investigated. Although nantechnology is still in the early stages of research, development and commercialization, most of the money in this area, as noted above in specific terms, is currently being made in chemical-mechanical polishing, magnetic recording tapes, sunscreens, automotive catalyst supports, biolabeling, electroconductive coatings and optical fibers. 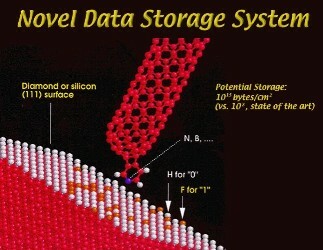 Nanotechnology was used to increase the storage space on computer hard drives. How Will Nanotechnology Affect the African American Community? Nanotech products will help everyone and could provide unique investment opportunities for African Americans. Some might ask, why does this have to be a racial issue? Historically, blacks have not been allowed to freely participate in free markets for centuries, so we are just a little behind in capitalist development activities (to put it mildly). So new technological frontiers offer potential avenues for blacks to get a foothold. We have yet to make our most incredible discoveries and freed African American imaginations freely participating in the marketplace could be invaluable in nanotechnology development. Already, more than 1,700 companies in 34 nations reportedly are pursuing the commercial promise of nanotechnology. Hopefully, big money investors such as Oprah Winfrey, Bill Cosby, Russell Simmons, Jay-Z and others will take a look at nanotechnology and support entrepreneurs in this area. Nanotech is an inviting field for young African American scientists interested in finding practical applications for this new field. These pioneers should have the opportunity to participate in the discovery of nanotech innovations that will lead to societal benefits. They can be in the forefront of providing better healthcare, economic competitiveness, better use of natural resources, cleaner manufacturing, cheaper, cleaner energy and a cleaner environment. Many industries will be radically altered by new nanotechnology discoveries, including pharmaceutical and chemical, energy, agribusiness, aircraft and military applications, among others. Nanotechnology could lead to the production of very smalll and lightweight supercomputers. The next Bill Gates could be African American. Historically Black Colleges & Universities (HBCUs) should pursue research in the nanotech sector. Other universities are leveraging significant funding to lead the way in nanotechnology reserach. For instance, the Institute for Nanotechnology was established as an umbrella organization for the multimillion dollar nanotechnology research efforts at Northwestern University. 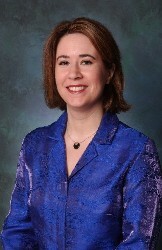 The role of the Institute is to support meaningful efforts in nanotechnology, house state-of-the-art nanomaterials characterization facilities, and support individual and group efforts aimed at addressing and solving key problems in nanotechnology.As part of this effort, a $34 million, 40,000 square foot state-of-the-art Center for Nanofabrication and Molecular Self-Assembly was constructed on the Evanston, Illinois campus. The new facility, which was anchored by a $14 million grant from the Department of Health and Human Services, is one of the first federally funded facilities of its kind in the United States and home to the Institute headquarters. Research under way at the National Institute of Standards and Technology (NIST) is pushing the limits of technology. Scientists and engineers are building atom and electron counters, single-photon turnstiles, ultracold ion and atom traps, and lasers that generate uniform pulses of light that last only a few trillionths of a second. Of course, technology is not just of interest to scientists. Many other people are also interested in nanotechnology, including ministers, musicians, movie makers, philosophers, politicians, sociologists, builders, ethicists, engineers and psychologists, among others. Environmentalists should also embrace positive developments in the nanotech area, while maintaining intense scrutiny and oversight. Nov 2004 -- The U.S. Environmental Protection Agency has awarded $4 million in 12 grants to dozens of universities to study the health and environmental risks posed by manufactured nanomaterials. The federal government is spending about $1 billion per year from 2004 - 2008 to promote nanotechnology. Absorption and toxicity of nanoparticles on skin (several cosmetic products already contain nanoparticles. Effects of nanoparticles on drinking water. Effects of nanoparticles on lung tissues. Environmental impacts on marine and freshwater sediments and on aquatic bacteria, algae and plankton. Conditions under which nanoparticles absorb and/or release environmental contaminants. Even though there are hundreds of nano products on the market, there are currently no regulations to ensure that new nanomaterials are safe for human health and the environment. Opponents will invoke the precautionary principle and highlight the potential dangers of this new technology, but almost every very useful technology can be used for evil. Industry and government officials must assure to the maximum extent practicable that nanotech products will be appropriately tested, certified and monitored. AAEA believes that moral and ethical caution should be taken with nanotechnology development, particularly related to human research such as cloning and embryonic stem cell research. 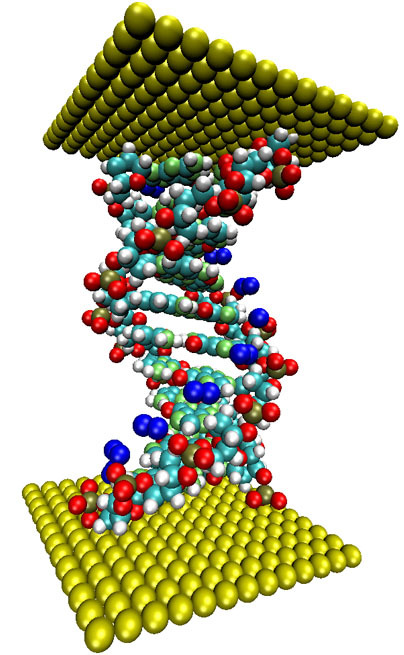 An engineered DNA strand between metal atom contacts could function as a molecular electronics device. Such molecules and nanostructures are expected to revolutionize electronics. Understanding the complex quantum physics involved via simulation guides design. For NASA, devices and sensors made from such molecules and nanostructures may be particularly usefule when electrical power is limited. The 21st Century Nanotechnology Research and Development Act (S. 189), signed by President Bush on December 3, 2003, authorizes appropriations for fiscal years 2004 through 2008 for the National Nanotechnology Program, comprised of various nanotechnology initiatives at nine agencies: the National Science Foundation (NSF), Department of Energy, National Aeronautics and Space Administration, National Institutes of Heath, National Institute of Standards and Technology, Environmental Protection Agency, Department of Justice, Department of Homeland Security, and the Department of Agriculture. S. 189 specifies funding levels for each of the agencies for a total of $796 million in 2004 and a total of $4.7 billion for the 2004-2008 period. EPA has issued the Draft Nanotechnology White Paper, a road map that identifies critical questions that must be addressed in order for the United States to reap the potential environmental and economic benefits of nanotechnology. Along with presenting the anticipated benefits of nanotechnology, the paper also deals with risk management of possible negative impacts of the new technologies. EPA will accept public comments on the draft white paper until Jan. 9, 2006, and then provide those comments to external reviewers for their consideration. Nanotechnology is the science of creating or modifying materials at the atomic and molecular level to develop new or enhanced materials and products. In December 2004, EPA's Science Policy Council created a cross-agency work group to identify and describe the issues EPA must consider to ensure protection of human health and the environment as this new technology is developed. The draft white paper on nanotechnology is the product of the work group. The white paper identifies data gaps that need to be filled and the research that EPA will conduct to fully grasp the applications and the implications of nanotech. Those research results will inform the appropriate regulatory safeguards for nanotechnology. The latest nanotechnology and potential environmental benefits of nanotechnology are detailed. Risk management issues and the agency's statutory mandates are outlined, following an extensive discussion of risk assessment issues. (Washington, D.C.-March 16, 2006) Nanotechnology has the potential to transform environmental clean-up, treat serious illnesses, and improve computer technology. EPA wants to see Americans benefit from this exciting new technology while ensuring that human health and the environment are protected. Therefore EPA has awarded 14 grants totaling $5 million to universities to investigate potential health and environmental effects of manufactured nanomaterials. By performing research on potential adverse affects, EPA is doing what is right for both human and environmental health and technological progress. Nanomaterials are created by working at the molecular level, atom by atom, and range in size from one to 100 nanometers. A nanometer is 80,000 times smaller than a human hair. Because of their small size and unique properties, more research is needed to learn if nanoparticles in manufactured products can enter the human body, and if so, how long they remain. Similarly, researchers will study the fate and transport of nanoparticles in the environment. California Institute of Technology, Pasadena, Calif., $375,000 Researchers will develop critical data and predictive tools needed to assess the health and environmental impacts of dendritic or highly branched nanomaterials. CIIT Centers for Health Research, Research Triangle Park, N.C., $375,000 Scientists will develop models to predict the localized deposition of inhaled nanomaterials in the respiratory tract of rats and humans. Georgia Institute of Technology, Atlanta, Ga., $375,000 - The objective of this research is to determine whether drinking water treatment will affect certain nanoparticles called fullerenes, molecules composed entirely of carbon, in the form of a hollow sphere, ellipsoid or tube. Georgia Institute of Technology, Atlanta, Ga., $375,000 - The objective of this research is to investigate the fate and transport of fullerenes in soil. Lovelace Respiratory Research Institute, Albuquerque, N.M., $375,000 Ã¢ Researchers will investigate whether the sizes and compositions of metal oxide powders influence their persistence and toxicity, and where they deposit in the body. NYU School of Medicine, Tuxedo, N.Y., $375,000  Researchers will investigate the biological impacts of aggregates of nanoparticles in the lungs. Ohio State University, Columbus, Ohio, $375,000 Researchers will develop Life Cycle Inventory data and thermodynamics-based modules for evaluating the environmental impacts associated with the synthesis and use of nanoclays and nanofibres. Rice University, Houston, Texas, $375,000 Researchers will determine whether the structure of nanoparticles is related to their impacts on human health. Rice University, Houston, Texas, $375,000 This study will improve our understanding of the chemical and physical factors that control nanoparticle mobility and bioavailability and their impacts on microbial activities, diversity and community structure. Southern Illinois University, Edwardsville, Ill., $375,000 Researchers will determine whether certain nanoparticles affect the survival, growth, development, egg hatchability, and metamorphosis of the fathead minnow and a species of frog. University of Florida-Gainesville, Gainesville, Fla., $375,000 -- The goal of this project is to develop an understanding of the potentially complex interplay between manufactured nanomaterials and the health of organisms and ecosystems. University of Georgia, Athens, Ga., $363,680 Researchers will determine whether particle size influences the bioavailability of nanosized zinc oxide and the potential for manufactured nanoparticles to be transferred through the food chain. University of Oklahoma, Norman, Okla., $375,000 Researchers will study accumulation and release of a wide range of manufactured nanomaterials in the soil, emphasizing the interactions with air/water interfaces and specific mineral surfaces. Houston Advanced Research Center, Houston, Texas, $300,000 Human cells will be exposed to engineered nanomaterials and their toxicity will be assessed using the innovative technology of high throughput gene expression microarrays. University of Florida, Gainesville, Fla., $261,640 Researchers will determine whether the toxicity mechanisms of macro-sized dissolved heavy metals are similar to that of metallic nanoparticles. Virginia Polytechnic Institute and State University, Blacksburg, Va., $350,000 Researchers will explore the transport, transformation, and fate of manufactured nanomaterials in atmospheric, aquatic, and terrestrial environments. University of Iowa, Iowa City, Iowa, $399,906 Researchers are seeking to assess airborne levels of nanoparticles and to assess the efficacy of respirator use in controlling nanoparticle exposure. New York University School of Medicine, Tuxedo, N.Y., $254,393 Researchers will develop a comprehensive, practical method for sampling, quantifying, and characterizing carbon nanotube particles in air.